The world's most visual xAPI Learning Record Store. Built for scale, deployable both in the Cloud and on-prem, and certified by Advanced Distributed Learning. Collect multi-platform activity and experience data from across your learning ecosystem. Gain immediate insight into the ROI of your learning programs. Create experience profiles which can be the fuel in the development of personalized learning across your organization. Align with modern open source interoperability standards for learning and activity data. 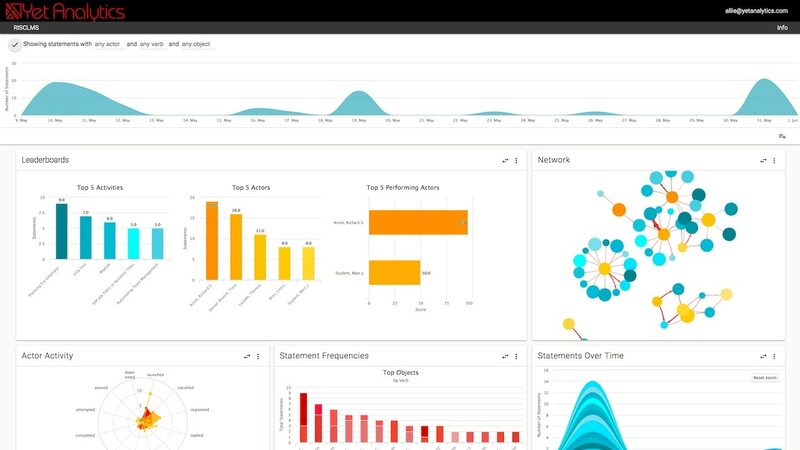 Turn learning analytics into business intelligence.